Radio jock and philantrophist, Tom Joyner, took to his national syndicated show to offer an apology to the band fraternity, Kappa Kappa Psi, for previous comments that he had made in which a lot of members took offense. He even offered to donate $1000 to the family of slain FAMU drum major, Robert Champion. Tom also started to talk about the boycott and letter writing campaign that was started by members of KKPsi and how damaging it could be to HBCU's if his sponsors started to pull away from him. 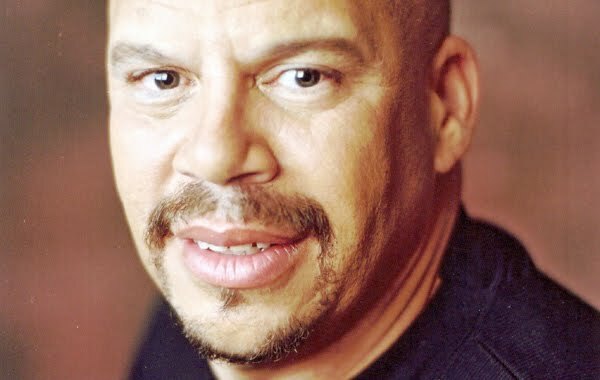 For those who do not know, Tom Joyner is one of the biggest advocates and philantrophist to Historical Black Colleges and Universities and through his Tom Joyner Foundation has given out countless scholarships to students of HBCUs. I think that the boycot and writing to sponsors is a little too much. I see views from both sides. The KKPsi fraternity is a national fraternity, reaching across racial lines. Many of their white counterparts probably do not care about supporting HBCUs, for what Tom does. In addition, even those that may have played in some college bands that are not in the fraternity seem to be dismayed by Joyner's comments. The band is one of the biggest organizations on college campuses. So, by making such comments about the fraternity, he actually reached out to a bigger audience (with all the web posts and social media posts now) than what he has realized. I think that members of the fraternity and band have every right to protect the integrity of their fraternity, band, or whatever. I have not heard Tom's apology or seen a transcript of it, but many posts seem to say it was not sincere. But I do think that going as far as sponsors is too far. Tom may can handle this and get a solid audience out of all of this by maybe retracting the actual statements that he said with the proper statements and maybe relate his apology for bringing up the fraternity's name in association with the death of Robert Champion. Putting the fraternity out there as hazing is a little bit strong language. I know I would be upset if my fraternity was put out there. He need to dedicate a show or two every quarter to the efforts of reducing hazing at colleges and universities without putting specific organizations on the forefront (unless they are found guilty of so, and then he needs to keep it to that chapter). It's good that can come from all of this. Hazing is not just at the HBCUs. It's even more prevalent at Prodominently White Universities. Am I the only one having flashbacks to the Shirley Sherrod incident?? Have the sponsors and the letter writers even listened to the original audio tape?? Not once did he blame KKPsi for hazing Robert Champion. And why is it that people can mobilize to try and destroy a man who has done so much to help HBCUs but we're quite mum in the situation that led to his death. So now what happens down the road if members of KKPsi are arrested and charged with acts related to hazing and the death of Mr.Champion?? examle: "My house was broken into and all my stuff was stolen. When the Easter Bunny goes in a house and takes stuff that's stealing"
Now, I never said that the Easter Bunny was the one to go in my house and take my things. But now when everyone sees the Easter Bunny they will look at him like he's a theif because I implied that he did it. Yeah well since I continue to not be afraid to sign my name but have to respond to all of these anonymous posters. Um here's the problem. If the Easter bunny takes things from people's housing without their permission he is stealing. Only an idiot would assume the Easter bunny is the one who broke into your house unless you say you saw the Easter bunny near your house at the time of the crime or that you found rabbit fur inside your house after the burglary. Yes, the Easter bunny could be a thief but there are plenty of other thieves so mentioning that the Easter bunny might steal doesn't mean you accused him of anything. I tried to be politically correct but now I really don't see the need. KKPsi is supposed to be an academic fraternity. The only qualifications to be a member are that you played in the band for one semester so there should never be any "pledging". I did not attend and HBCU and on my campus KKPsi ceremonies are open to the public. We witnessed several if our friends get penned. Likewise, When I was inducted into Sigma Tau Delta, the English fraternity, they simply checked my GPA and made sure I had met the course requirements. And this is not the first time KKPsi has been linked to incidents involving hazing. When a chapter of my NPHC was accused of hazing, I did not defend the behavior. Physical abuse does not promote sisterhood. Carmen this is for you. You are dead wrong about the qualification to pledge KKY/TBS. If you are not a member how do you know? There are national qualification and local/school qualifications in order to pledge KKY/TBS and you must meet both. First, I would like to give my condolences to the Champion Family for their loss. I am also keeping the Marching 100 and the chapters of Kappa Kappa Psi(KKY) and Tau Beta Sigma (TBS) in my prayers. From many of your comments including the author of this blog you still don't get it. I want to respect everyone's opinion but it's really hard for me to do. Many of you have no affiliation with the organization or a marching band and in my opinion have no right to make a statement that we should get over it. For those of you that don't get it I am going to explain it to you why we are upset and want to boycott the show. Yes I was one of those who wrote to Tom Joyner (TJ)and express my thoughts. 2. TJ stated that KKY was not real fraternity. That comment hurts. TJ made it seem like we are just a group of people that got together and made up some letters. This is not the case. We are as real as any of the "Divine Nine" . TJ's comment diminish us and made us appear not to have any relevance to HBCU bands or the community. We provide scholarships to band members, high school students, and other college students. We also sponsor families,hold clothing drives, read to kids, mentor to teenagers, and the list goes on. We also cater to the needs of the band to make sure that the band has everything needed to sound great. I have worked very hard and to say we are not real hurts.KKY has been around since 1919 and TBS since 1946, so we are very very real.Lionel Richie, Earth, Wind and Fire,Lenny Williams,Bill Clinton are all members of KKY and according to TJ not a real organization. TJ need to do research before he makes comments. 3. TJ made KKY appear to participate in hazing. KKY and TBS are both non hazing organization and do not promote hazing. KKY/TBS has a written non hazing policy and many of our local chapters teach workshops on the importance of not hazing. Hopefully now some of you can get it. I know about the qualificafications for KKPsi because I can read, have read on their history and "pledging" was never supposed to be a part of it but if you are going to "pledge" people then be prepared for allegations of hazing and lawsuits. For the record, I'm not a member of the Klan either, it doesn't mean I can't read the history and know about the organization. And all of the Greek organizations have policies against hazing. It has not stopped it from happening. So just because KKPsi does not condone hazing doesn't mean it does not happen in some chapters. And again he did not accuse KKPsi of hazing. Have you listened to the audio or are you just repeating the company line?? I have heard the audio several times. TJ said "When a band member shows up with a KKY brand on his arm its hazing." This indicates that KKY haze. I would like to know your definition of the word pledge.Fyi you can pledge and not be haze. You manage to still miss my point. He said being branded us hazing, did he say Champion was being branded by KKPsi and that's what cause his death because I never heard that. Did he say Robert Champion was being punched by members of KKPsi when he was killed?? No. And for the record I am a proud member of the divine 9 so yes I know that you can pledge and not be hazed. Again you missed my point. KKPsi was founded as an ACADEMIC fraternity. It's supposed to be like a networking group. My experience with Sigma Tau Delta, an ACADEMIC fraternity, were completely different than my experience participating in a Greek Sorority. I find it utterly ridiculous that people can even make the statement that their is no hazing in KKPsi. It is a national organization and while I am sure they have an anti-hazing policy, it would be impossible for the national organization to know what EVERY individual chapter is doing. When a CA chPter of my sorority was accused of hazing, I did not become defensive. A young woman died and other women were responsible for her death. I don't consider it a reflection on my sorority, I consider it a reflection on those women and my sorority rightfully stripped them of their membership. I guess that's my problem with this whole Tom Joyner situation. He didn't hit anyone. He called out poor behavior. If he thinks branding is hazing, then why should be crucified for stating that opinion. Likewise, you are entitled to your opinion but boycotting him amounts to throwing out the baby with the bath water. I don't know a single person who has donated and raised more money specifically for HBCUs. It's one thing to disagree with the man and I think that you all should have been able to voice your disagreement on his show BUT I do not agree with contacting his sponsors or boycotting his show. I hope the next time an HBCU is on the verge of closing KKPsi shows up with a fat donation check. And as for my definition of hazing, I really don't think it matters because the state of FL has a legal definition for it and a criminal punishment. Now maybe you can answer my original question: if the 4 people dismissed from FAMU for allegedly participating in this killing are arrested, tried and convicted and are indeed members of KKPsi, will you all apologize to Tom Joyner? One last thing, he said when a person shows up with the KKPsi brand that's hazing... How does that imply that ALL of KKPsi hazes?? Or is he saying that the chapters that brand are participating in hazing?? And does KKPsi consider branding hazing?? Is there a policy against branding?? I will say this. TJ has done a lot for HBCU Colleges. I think that you are missing my point he should have never mentioned a name unless it was his own fraternity. I am also a member of a divine 9 sorority so I understand it from both sides. I pledge TBS after I pledge my divine 9. KKY was never founded to be an academic fraternity. It was founded for the purpose of helping to build the band. I get your point hazing is wrong I agree with you on that. My point is that TJ said KKY name so people are naturally going to associate the two together. The major problem is that he said KKY was not a real fraternity. That is a false statement. At my school and many others we are as visible as the divine 9 and for him to diminish the fraternity was hurtful to its hard working members. Thanks for giving your point of view. First of all, let me say that I am a brother of Kappa Kappa Psi. Branding is not considered hazing, because it normally takes place after the intake, or pledge, process. Branding is also a PERSONAL ISSUE. A member, of any fraternity, can CHOOSE to be "branded". It is NOT a requirement for active membership, which means that it does NOT fall the jurisdiction of ANY fraternity. NO policy required, or needed. And in closing, branding is, NOT, an act of hazing. Most of the people supporting Joyner on this issue know absolutely NOTHING about Kappa Kappa Psi. The know NOTHING about what happened on that bus. They know NOTHING about who was involved. All they seem to know is that just because Joyner donates a lot of money, that gives him license to twist the truth on national radio. Some people are sheepishly driven by money, and not principles. Tom Joyner was losing listeners way before this happened because he doesn't do his homework on a lot of issues. The only reason he gave that so-called "apology" this matter may now affect his wallet. NO NEWS organization has mentioned Kappa Kappa Psi in context with this hazing matter. Joyner is the only one, and he hasn't stated why. If his Omegas got involved in an incident as football players, he wouldn't name the fraternity, he name the TEAM. Stop drinking his Kool-aid. Um I know many people who are branded and it wasn't really a choice. It is what was expected of them. Considering that we are human beings and not cattle being branded by our owners, I don't agree that branding is not hazing. The fact that you all don't seem to understand that he is entitled to his opinion is puzzling to me. I feel like you choose to ignore the obvious because it just doesn't fall in line with your argument. This isn't about whether or not his opinion was right, it's about whether or not he is entitled to state it. I am amazed at how easily you can vilify him and organize to boycott but there is no one is talking about any punishment for the people who actually put their hands on this young man. You can boycott Tom Joyner but how many of you still eat at Waffle House, a company that has settled two employment discrimination suits in the last 10 years?? And since we're on the subject of KKPsi versus Tom Joyner, remind me again how much money KKPsi has donated to FAMU or any HBCU?? Since according to you, I know NOTHING about KKPsi please educate me about all the great philanthropic efforts. And Boh, I hate to be the one to tell you this, because clearly you will be surprised by this information, Tom Joyner us already securely in the 1%. In addition to a college degree and his radio contract, he's quite a proific businessman. He's set all if his children up in his business. Yet he still manages to raise funds for HBCUs not just randomly but consistently. A person doesn't do that for money they do it because they believe in the cause. Oh and for the record, Tom Joyner has called out his own fraternity for incidents of hazing before. Pretending that hazing does not happen is killing people, LITERALLY. So I may not be an expert on KKPsi but I am a Black woman who us sick and tired of burying young Black people for no good reason. And getting to ride on the C bus just doesn't seem worth someone's life to me. I will admit that I have learned a lot about Kappa Kappa Psi through everyone's comments. Having said that i still think that boycotting TJMS is extreme at this point. I think the letter writing campaign was fair to promote a more fruitful dialogue about the fraternity,hazing, and the tragic death of Robert Champion. If things went downhill after engaging Tom Joyner and voicing your concerns about his statements, then perhaps a boycott would be warranted. I say this because I think we as a society, particularly with higher profile cases, do not sit down and have respectful conversations where all parties sit down and earnestly try to listen to all points of viewand hopefully reach some type of agreement, understanding, or reconciliation. Instead we jump to conclusions and make rash and harsh judgments as if we have all the facts, data, and evidence, when in fact we may know very little. That produces more friction and strained relationships, which benefits no one. "Jumping to conclusions" is exactly what Joyner did. That guy is senile. And Carmen, you may claim to know fraternities that mandate that people get branded before becoming members, but KK Psi is not one of them. Also, it would appear that all you can seem to do is focus on the money that Joyner has contributed. This is what I mean by the term "money driven". Perhaps you personally benefited from his donations. I haven't, nor do I like his weak morning show. I don't know what your resonis for loving him so much. I just know that Joyner can't seem to keep staff members around him for long, with the exception of his two cronies. Joyner is no different from Limbaugh or Don "the nappy headed hoe" Imus. Did you stick up for Imus's right to say whatever was on his mind when he made that statement? If he had used the term "nappy headed hoe" and then mentioned your name in the same dialogue, how would you feel? THIS is how Kappa Kappa Psi feels. Lastly, I see no mention of any of the four expelled members being affiliated with Kappa Kappa Psi, so instead of asking others to explain themselves, why don't you ask Joyner to explain HIMSELF? I have read many of the comments and listened to the remarks made by Tom, who I am a big fan of. I am a member of Kappa Kappa Psi, and Omega Psi Phi as well. I would say boycotting is extreme. Tom has done a tremendous amount for not only HBCUs but for the Black community as well. He is an advocate for civil rights, he does what he can to keep the community informed by having insightful guess to speak about politics, health, etc to enlighten many of us. His work in the community speaks for itself. When we have a champion, an advocate like this representing us, we must be able to agree to disagree without causing harm. I am proud member of Kappa Kappa Psi, but it does not come before my heritage, to which the TJMS has done more to advance than this fraternity. However, Tom was inaccurate, incorrect, and uninformed in regards to several of the statements made. Nevertheless, calling for a boycott based on an error made I think would be unnecessary and undeserving for a champion for the community such as Tom. I would like to clarify some of Tom's statements for the readers here. 1. When you get a brand in KKPsi or just about any Fraternity it is by choice. It is not mandatory and not given during the pledge period. As I said, I pledged both and don't have a brand of either, because I choose not to brand my skin. 2. Tom's comments, while he may not have intended it to be, could mislead SOME listeners to believe that KKPsi "has had other problems" when he was actually referring to the FAMU Band member that won the 1.8 million judgement. That was not against the Frat, it was against the band...but his segue into that conversation lends the impression that it is related to KKPsi which he was speaking of in the previous sentence. 3. Tom referred to KKPsi as not a REAL fraternity, when they are a National Honorary Band Fraternity (see http://www.kkpsi.org/) Tom referred to then as simply a band organization. So, I would encourage all of us to continue to support Tom and his efforts to strengthen our HBCUs and our community. He apologized, he made some comments in error, I accept that.....he's not perfect, and neither am I. But I DO NOT think this is cause to ask for sponsors to withdraw their support. WE have to SUPPORT OUR OWN, ESPECIALLY WHEN THEY HAVE GIVEN SO MUCH TO SUPPORT US! First off Boh please don't pretend like you KNOW Carmen because you DON'T. I did not attend HBCU and I have never received money from Tom Joyner. He did however persuade to donate to a school that I never went to. Since you wanna be all in my business though let me help you. I received an ACADEMIC scholarship to undergraduate because I graduated with a 3.7 and got got a 31 out of 36 on the ACT. Once in college, I managed to pledge, hold down a part time job, be the President of a Black campus organization, and a board member of the Student Government Association. I was inducted into 3 International Honor Societies including Golden Key because I was in the top 15% of my graduating class. I scored a 168 on the LSAT and then got another full ride to law school. So I never needed Tom Joyner's money, I just empathize a lot more with those he has helped than I do with an organization that is now getting defensive because some of their members may have engaged in hazing and ended the life of a promising young man. to hazing. He did not die of natural causes and he certainly didn't kill himself but rather than look for the people responsible you want to point the finger at Tom Joyner and since that's nit working here you think you can malign me. Think again!! Oh and my mama said it's not bragging if it's true so can you can verify my credentials through Savvy Sista. I ain't gotta lie to kick it. Here's the bottom line. I am not being racist, so hear me out. Kappa Kappa Psi is a multi-ethnic fraternity originally founded at Oklahoma State University in 1919. Just look at the 312(and growing)chapters of Kappa Kappa Psi listed on the national website. Joyner apparently thought it was just a local internal organization within FAMU's band alone. Now he realizes that he pissed off multitudes of people from conference to conference and it ain't just a HBCU thing. My point? Who is to say that the HBCU chapters are writing these sponsors of his? The national level has clearly gotten involved in this because they apparently feel that the Kappa Kappa Psi's name as a whole has been besmirched. Joyner now realizes this. He's apologizing on his show, but what makes him think that the people protesting him actually give a care about his show? They may listen to classical, bluegrass, or acid rock in the mornings. Like I said...he didn't do his homework before mis-speaking. But you won't acknowledge that you tried to malign my character or that bringing up the Don Imus thing was not only childish but downright ignorant since you don't know me and that was clearly a personal attack. At least Tom Joyner was man enough to apologize... You just want to backtrack and change the subject. Don't worry though I don't need your apology... I'm very secure in who I am. Don't confuse things. No one in Kappa Kappa Psi or Tau Beta Sigma is saying that any expressed outrage about Robert Champion's death is unwarranted. However, to even hint that an organization was somehow involved, even if he didn't state it directly, was wrong and reckless that could have had far wider legal consequences for him. Right is right. Wrong is wrong. BUT...I can almost guarantee if Tom Joyner had gone on air and said that AKA or Omega Or Delta was not a REAL fraternity or sorority, I can only imagine the hell that would break lose. So don't even go there. Chapters of the Divine 9 are responsible for more hazing incidents and deaths than all bands put together. So let's not even think that members of a BGLO wouldn't try to shut Tom down, regardless of how much he contributes to HBCUs. And if any of you read any of the emails and posts sent to Tom Joyner, most included links to our website and were informational so that he could educate himself. I don't see a problem with any organization demanding the respect it deserves. I'm sorry; I didn't know that TJ had already received his SAINT card EARLY!!!! Just because you do Saintly work, it doesn't mean that you're above being mistaken or PLAIN OUT WRONG! I have felt for a long time that TJ is one of the biggest HYPOCRITES in morning radio, and this furher proves it. CASE-IN-POINT, years ago he said that he didn't respet Shaquille O'Neal because Shaq went INTAKE for Omega!!!!!!! So TOM, WHAT ELSE WAS SHAQ SUPPOSED TO GO THROUGH TO EARN YOUR RESPECT?????? And althugh may he have apologized, every time he continues to talk about this icident, h also continues to bring Kappa Kappa Psi (and now he's even mentioning Tau Beta Sigma as well; I just heard him say it this morning). I've always respected the work he's done for HBCU's, but as a FORMER HBCU STUDENT THAT WAS A DRUM MAJOR AND IS A MEMBER OF KAPPA KAPPA PSI, I FIND HIS ACTIONS DEPLORABLE! WRNOG IS WRONG, NO MATTER HOW MUCH GOOD YOU DO!!!! WHERE'S THE PETITION! This is brother Kin-Folk from theta rho/theta delta chapter of KKY. My thing is this. When going to any college black or white. The first organization that you r gonna see is KKY and TBS. I willow tell you why becauce band and the university becomes our business. The reason those two organizations are the first to be seen is because, we are getting ready for the fall season which to me is the biggest part of the year. Whenever something is being held on campus the first group to be called is the band. The university doesn't call any body else. The Devine 9 doesn't get that call. I'm sick and tired of people calling my frat the band group or the band organization. Both of our organizations work very hard to get our best. I went to our national web page and read that Mr champion wasn't a part of the intake process of KKY. I have come to know many brothers and sisters from family, they all have been real good to me whenever we see each other. This is a tragic incident that happened. I can say this THE FRAT DIDN'T DO IT. I was in the fall '92 pledge class of the Gamma Nu chapter of Kappa Kappa Psi. My chapter was at Florida State University which is across town from the FAMU Delta Iota chapter. We sponsored and supported A LOT of events with the brothers at that chapter and I got to know them well. I have to agree with the other brothers on this board. What Tom Joyner said was disrespectful to our fraternity and was not thoroughly fact checked. The most hurtful part of what he said was that he implied we are not a fraternity, when clearly we are. Also to call out our fraternity for being responsible for that young mans death is just ridiculous. Kappa Kappa Psi has OFFICIALLY stated that he was not a part of our membership intake program. Carmen you are dead wrong about branding being something forced onto new members at least as it pertains to Kappa Kappa Psi. Branding has NEVER been a required practice for pledges/new members. There are some brothers who choose to take a brand to show that they are proud of their fraternity, but no one is holding them down and forcing them to do it. I don't have a brand and 90% of the brothers I met at FAMU do not have brands. The thing I find ironic is that if he thinks that branding is evidence of hazing and hazing is bad, then why doesn't he address it with his own fraternity. Branding is far more prevalent in his own Omega Psi Phi than it is in Kappa Kappa Psi. That being said, as much as I love my fraternity, if the brothers of Kappa Kappa Psi are responsible for the death of that young man, then they deserve what's coming to them. What everyone needs to do is let the police do their jobs and let the facts play out as opposed to randomly placing blame on groups that people know nothing about. For the record Kappa Kappa Psi is NOT an ACADEMIC fraternity, it's a SERVICE fraternity. I have read your comments and the fact of the matter fraternity was singled out on a national radio talk show, which makes us look guilty once you put it out the, because the seed was planted. Did it warrant boycotting? Yes, if that's want it takes. You either stand for something or fall for anything. It doesn't matter if he were black or white or what the white bruhs thank. If you fraternity was singled out like that, how would you take it? That being said, I except Mr. Joyner's apology and thank him for doing so. I do listen to his show and think it is very informative, and will inform my brothers of the apology. Carmen the issue is that what you heard and what others heard are two different things. As soon as Tom Joyner said something members from all over started getting calls, emails, text messages. One of our sisters got a call from all the way from her family in Virgin Islands. All with the impression that somehow that KKPsi or "band fraternity" was involve with this young man's death. Just like what was mention earlier before those contacted were also the White members from "White" Chapters and they are not going to play that. I recognize all that Tom Joyner does but I will not stand by him at detriment of KKPsi in order for him to give news. I expect better from him and so when he DID NOT address what he said immediately, when he only apologize for offending us instead clearing up what he said and the fact that in the same breath he went into begging for us to stop the writing campaign seemed made his apology not genuine. He looked at what it was costing him rather than what it was costing us. He didn't take into account that his words will cost us membership, trust, and associate our name with the death of someone for a long time. This wasn't just about hazing but about our belief as fraternity "To Build A Better Band" and that can't happen if kids are coming to school with their parents demanding them not to be a part of band or our fraternity. Can someone explain why Kappa Kappa Psi was ever brought up in the first place? That's the problem. Kappa Kappa Psi had no business being brought up in the first place. I'm the Gamma Nu Anonymous. In the past two decades, Tom Joyners's fraternity, Omega Psi Phi has been hampered by multiple chapter suspensions, lawsuits and settlements. A high-profile case in 1997 awarded $375,000 to former University of Maryland student Joe Snell after he testified that Omega Psi Phi members had put a heater in front of his face in order to darken his skin because he wasn't "black enough." 1983 - 20-year-old Vann L. Watts died trying to pledge Omega Psi Phi at Tennessee State University. 1991 - 10 student members of Omega Psi Phi Fraternity at Clark Atlanta are arrested on charges of hazing after beating James Albert Bush, 20, with their hands, fists, rubber tires and a wooden paddle, also resulting in severe kidney damage, as well as bruises to his calves and arms. 1993 - University of Maryland College Park (UMCP) Chi Delta chapter of the black fraternity Omega Psi Phi beat pledge Joe Snell because he was light-skinned and needed more color. 1997 - Indiana jury found the national organization of Omega Psi Phi, the fraternity's chapter at Indiana University and several individuals who were members of the fraternity liable for $774,500 in damages in the February 1994 beating of former Indiana University student Kevin Nash, who was hospitalized for injuries he received while he was being pledged. Nash, who suffered from injuries to his kidneys, face, neck and chest, was allegedly paddled and hit with an open fist, according to Nash's attorney. 2001 - 15 million dollar lawsuit filed in death of Tennessee State University student Joseph Green. His death had been the result of an underground pledging process by the university's Omega Psi Phi chapter. 2010 - University of Houston student's father files civil suit alleging that his son was hazed by Omega Psi Phi. These are just a few of the incidents that I have researched, know of, and remember. As an Alumni of a HBCU, Omega Psi Phi has always been one of the worst fraternities to allow brutal hazing. Was or was not members of Kappa Kapp Psi hazing Champion as part of the tradition for new members? How did he die? What was going on that he suffered these injuries? Were he and members of Kappa Kappa Psi just horseplaying around and he accidentially incured these injuries? Ok, so being branded isn't being hazed, I get that point, however, you can't sit here and tell me that KAPPA KAPPA PSI members (those who were hazing this young man) shouldn't be held accountable. I'm sorry but leave TJ alone! Hell, we at HBCU's have a hard enough time as it is. Let the man continue to bring in fortunes for students and continue to create ways for students. I understand that folk may be a lil upset about his words that Kappa Kappa Psi is "NOT" a fraternity, but is insted an organization. Ok, ok, he said that, but it's not enough to go biting the damn hand that feeds you. AND THIS MAN FEEDS GOOD!!!!! FOCUS MORESO ON THE LIFE THAT HAS BEEN LOST HERE. ACCOUNTABILITY NEEDS TO BE PLACED ON THE PERSON(s) WHO ARE DIRECTLY RESPONSIBLE FOR CHAMPIONS DEATH. If they are members of KAPPA KAPPA PSI, if it happened during soemthing that KAPPA KAPPA PSI members were conducting and apart of, then YES, those persons and KAPPA KAPPA PSI WILL BE NAMED and held accountable in a court of law!!!!! IT'S THAT SIMPLE. Exactly, you just argued my point. I'm not saying that Kappa Kappa Psi brothers are or are not responsible for Robert Champions death. What I am saying is that with TJ's microphone and the millions of listeners that he has, he has a responsibility to be ethical. Anybody, including TJ, who says that they know for a fact that KKPsi members were hazing Robert Champion as a part of any initiation ritual for Kappa Kappa Psi is embelishing the truth at best, and lying at worst. We SHOULD let the investigation run its course before pointing fingers and placing blame. As a brother of KKPsi, I just felt that TJ overstepped his boundaries by calling us out before the facts have been heard. We don't know what organization Robert Champion was involved in. Who's to say he wasn't pledging Phi Mu Alpha or even TJ's beloved Omega Psi Phi. All we know is that he was on a band bus, tragically passed away, and the authorities suspect hazing. For TJ to jump to imply that Kappa Kappa Psi had anything to do with it was wrong, and even he publicly acknowledged that. Mr Joyner has done A LOT of good for the community and I can forgive him for this one incident. I don't support a boycott, but he was wrong. It is odd to me that people keep asking why Kappa Kappa Psi was ever mentioned by Tom Joyner. Whenever this situation is brought up in conversations that I have had, everyone says "KKPsi?" Even people that I know that never went to an HBCU, nor pledged to any organization. There is, in my opinion, a recognized connection with bands and KKPsi. This understood connection is the reason why KKPsi issued a statement expressing condolence to Robert Champion's family; and that he was not a member, nor pledge, to the organization. This was released long before Tom Joyners statement. How are we then going to call for a boycott of Tom's show? My son just became a member of KKPsi. I don't recall him going through any of the things that I went through pledging my fraternity. He is not attending a HBCU. His process was not as intense as I remember of pledges at FAMU. I grew up in Tallahassee. My wife is a proud graduate of FAMU. I have followed the 100 since my early childhood. I know many who have been in the band. Several that were drum majors. I have seen the hard work the band puts in. I am, and will continue to be a huge fan. "And since we're on the subject of KKPsi versus Tom Joyner, remind me again how much money KKPsi has donated to FAMU or any HBCU"
Did anyone notice this statement? As if continued service towards college band programs was cheap...or free....?? I am perturbed by this ignorant statement, but I suppose one wouldn't know unless you were a member of Kappa Kappa Psi or Tau Beta Sigma. Good point NikPhi. The "donation" that Kappa Kappa Psi and Tau Beta Sigma makes to the university is countless hours of service and fund raising. We raise A LOT of money to support the bands. I was required as a member of KKPsi to volunteer hours in support of the band. I know our chapter was responsible for dressing our entire band. We raised all the money for the bands uniforms and such. A lot of things with the band doesn't happen without the support of not only KKPsi and TBS, but also Phi Mu Alpha and Sigma Alpha Iota. You would think that whoever originally said that would understand that at HBCUs the band often times generates as much interest/revenue as the football team. When I was in high school I didn't go to the Classic to see the FAMU/BCC game. I went to see the band. KKPsi and TBS are an integral part of making halftime happen. I respect the work that Tom Joyner has done for HBCUs, but that doesn't mean that he is right about how he has characterized my fraternity. Right is right and wrong is wrong. At least HE has the decency to admit that he was wrong. In response to frats supporting a boycott, I respectfully disagree with this. In response to TJ being incorrect and inaccurate, I agree he most certainly was and he needed to be checked on it, and he got checked. However, for me, as a black man, I am not going to withdraw my support of TJ and what he does in the community because of an ERROR he made. He has done far more to advance the black community that KKPsi has and more than likely ever will because that is not the purpose of KKPsi. Let's not let our fraternal pride stand in the way of continued progress for our community and fellow man. As I stated in an above post, I am a proud member of KKPsi, and I believe Joyner's comments were reckless and uncalled for. Nevertheless, to err is to be human. He has apologized, and I accept that. And I do think we have to support our own, especially when they have being a champion for supporting our community in the past. @Carmen, you decided to take my example personally. I really wasn't talking about you because, as you say, I don't know you. But do you see how easy it was for you to get offended? You made my point for me. The man doesn't know the fraternity, yet he made statements with their name in it. Do you see now? I will say that he has been making efforts to clean this up somewhat. If it's such an ignorant statement then how come you can't give me a concrete answer. I asked for a dollar figure on KKPsi contributions and you call me ignorant. If you don't know then you don't know but that's not a reflection on my intelligence. I managed to be a dean of pledges and no one on my watch was ever injured or killed. I normally don't listen to Joyner, and I'm going to have stop again. Friday morning,and he still can't stop talking about the hazing incident without mentioning KK Psi, and now he even inquires about Tau Beta Sigma (the sister sorority). Why apologize if he still continues to bring up our name? Why doesn't he focus on hazing in GENERAL instead of just "band hazing" if he really wants to cover some major ground? Athletes on ball teams get hazed by fraternities (like his) and non frat alike. Why not bring this up? I tell you why. It's because then it would open the door to his own fraternity which has caused deaths and serious injuries. Plus, he would have other similar fraternities and sororities calling him out. Why doesn't he bring up whether or not he got hazed or did some hazing himself? Why hasn't the righteous Joyner testified on national radio about his own experiences? It's because he is a messy hypocrite, plain and simple. Here's something that needs to be investigated. Investigators need to determine if Mr. Champion was pledging some OTHER fraternity, since it's already been determined that he was not pledging Kappa Kappa Psi. Marching band members belong to many different fraternities and sororities. As a former member of an HBCU marching band in the 80s, I used to witness other fraternities and sororities pledge their pledgees while all "just happened" to be band members. Mr. Champion was a 26 year old man and a drum major. I don't see somebody in that category getting pledged "as a band member" in general. And certainly not Kappa Kappa Psi. He would have likely waited to become an honorary member. This is mighty fishy. I hope it all comes out correctly. Like i said on the other post, i dont really dont support his sponsors being contacted but if thats what we have to do for him to hear us then hey!... So what if he donates money to HBCU. If he goes and shoot you mom @carmen tomorrow then tell you im sorry if i offended you are you going to continue to support tom. Just because you are so EDUCATED and DEAN OF PLEAGES doesnt make you so high and mighty. point blank: He slandered my frat brothers name and said something about my sisters of Tau Beta Sigma. If the man was so sorry he would stick to talking about Mr. Champion (who is the real matter of discussion) and keep TBS and KKY out his mouth. So he has noone to blame but himself. Had he stuck to the facts this wouldnt be happening. And he a member of OMEGA PSI PHI TO TALK ABOUT BRANDING IS HAZING!?!?!? I have never met a Q who didnt have a brand!!! and lets not even get on hazing!!! If he wanted to talk about hazings (like someone said earlier) he should take about it as a whole or stick to talking about his own frat. And lets not forget there are PLENTY of members of Kappa Kappa Psi who are Omegas. Someone mentioned i think on the other page that he said on his show that he couldnt respect Shaq's "intake process" hhhmmm what you trying to say tom. Think shaq missed the dreaded H word memo smh. i never listened to his show and never will. if he lost supporter thats his problem. who's to say the some of the people who was sponsoring him arent members of KKY and TBS. The first responsibilty for a journalist is RESEARCH. Mr. Joyner failed to research and in turn spoke against an Organization incorrectly. It's called "defamation of character " people. This show is heard NATIONALLY and now thousand of people have a poor image of KKPsi because of his words. Not only should members boycott and contact their sponsors but should also call a LAWYER. The good he has done is fine but he also has to take RESPONSIBILITY for the BAD! The apology was "LOADED" so that what is happening right now--could happen. His apology in turned launched an assault against the VICTIM (Kkpsi) by trying to cry foul and PLAY VICTIM. WORDS HAVE POWER! I bet you now know that KKPsi is a real Fraternity with REAL MEMBER, LETTER WRITERS and Black and WHITE FOLKS who dont play! Do your research before you make an IGNORANT statement next time. FAMU hazing rituals have nothing to do with a FRATERNITY is all sectional and things students made up..ie. "CLONES", RED DAWGS, BUS "C", WHALES..etc. Gail King (Oprah's buddy)jumped Joyner on this Friday morning (12-2-11) for spreading a lie saying that Oprah sent a letter to Wendy Williams (OF ALL PEOPLE) stating that Oprah was upset because Gail is leaving her network and going to the CBS Morning News. Gail called up out of the blue and stated on his broadcast to Joyner and J. Anthony Brown (his flunkie)that Oprah sent no such letter and actually was happy for her new endeavor. Joyner and Brown tried to "Ha Ha" and "Hee Hee" it off. Sybil tries not to get caught up in the middle of the mess. Yall keep on worshiping the all powerful, all knowing Joyner if you want to. He is constantly slipping. @ yet another anonymous person with so much to say but not enough pride in your comments to sign your name... If Tom Joyner shot my mother he would be going to jail and what an ignorant self hating thing to say. Because I think that his show should not be boycotted you advocate shooting my mother?? Funny thing is this post has more comments than any other on this site. You can muster all this passion for your fraternity.. You can name call and bring people' s mothers up (btw.. Bet you not man enough to ever mention my mother in face.. Talking big stuff while hiding behind a computer screen doesn't make you high and mighty either... It makes you the same kind of punk coward that thought it was cute to beat a man to death... ) but you have nothing to say on the posts about the death of this young man. Now you all can jump stupid all you want.. You can make references to nappy headed hoes etc... None of it changes my opinion, actually you have managed to completely put a bad taste in my mouth when it comes to KKPsi because clearly you aren't smart enough to articulate and argument so you have no choice but to stoop to childish name calling, and none of it brings back this dead young man or makes his death any less senseless..
First of all, I really hope that you can calm down and just listen to what everyone is saying, both those in agreement WITH YOU and those opposed. As I'm reading, you seem to be jumping down everyone's throat - an equal opportunist of sorts. EVERYONE is stating that this was a tragedy and agrees that the act of hazing is just wrong. No one disagrees with that! It is because of that fact, that NO ONE wants to be associated with such an egregious act. So what you are doing, in line with Tom Joyner, is making the organization KKY (and now TBS) "guilty by association." Tom knew what he was doing when he made the statement, because he made a jump from "the band" to stating "Anytime you have a brand on your arm, a psi, that's hazing..." That insinuated #1 that Robert Champion was found with a brand, and #2 that Kappa Kappa Psi was the one to give it to him. Both are HUGE assumptions that were ill-stated, and not factually based! Now, being a lawyer, you should understand that even if someone is innocent, once that association is placed there, it places doubt and speculation in the minds of people. THAT is what we don't agree with. Like someone stated before, focus on the scope of hazing as a whole. Within not only the band, but ALL organizations on a college campuses. As for you questions about our "funding" HBCUs, you are right, it's hard for us to give you a harcore number, because its hard to put a dollar figure on that. We GIVE all the time. No one is trying to equate his millions to specific schools to our continuous service. But we support our own and give just as much. On average, an HBCU band runs from 100 members to 200 members. For band uniforms (which we raise those funds), that averages $500/person = $50K - $100k every five years. On average, each organization (KKY and TBS), offers the band 10 - 15 scholarships each semester ranging from $500 - $1000. Every week, during a game, its KKY/TBS responsible for buying supplies and drinks for the band (Lord knows what that turns into). Those of us who are LIFE members, we offer scholarships EVERY year across the board. We have supplied our local high schools and non-profit organizations with musical instruments and monies for sustaining existence - and on average that's around $5K - $10K a year, depending on the organization. Like I said, no, these aren't millions of dollars; but please don't put down our organizations by saying we don't give and support our own in terms of HBCUs. Because for some, if it wasn't for the band, they would've never heard of a "college or university" PERIOD, let alone an HBCU. Just like for your Divine 9 mission, your focus is "service for all mankind." Our service is centralized - the band, but it is SERVICE nonetheless (responding to your Academic fraternity statement incorrectly stated) and we don't apologize for it! Not one bit! As for your banter back and forth with Boh, I think what you missed in his stated was him saying IF Don Imus was on his radio show, and mentioned black women in a derogatory manner, and then in the same breath said, "...Carmen plays on the team and has nappy hair." There is but one correlation. That's all he was trying to speak to sweetie. Just the correlation of the statements made to the amount of factual information given. And if the 4 young individuals who are held accountable are KKY, I still would not blame the organization. I would blame those FOUR INDIVIDUALS, who utilized poor judgement and lacked self-control! It was not KKY that "forced" them to do anything, nor was it KKY's principles that instilled this in them... This was a self-driven catastrophe! And that's where the blame should be placed. So understand as a BAND family, we grieve along with the Champion family. Simply because it hurts when you lose one of your own. Probably more than you will every know, since you've never participated in the family know as "The Band." I pray that you will soften your blows, and understand both sides of the situation. Yes, Tom Joyner has done some wonderful things, and will continue to do wonderful things... But false accusations and innuendos don't endear him to those who understand their impact on future bands. @ Carmen, you need to calm down, for real. I don't know who these "anonymouses" are except for two things. They are my brothers/sisters of the Bond, and they know how to push your buttons by telling the truth. That's some brotherhood/sisterhood. It ain't just happening on this website. It's happening on all of the forums and social networks. You like Tom Joyner. We get that. But read these posts deeply. People are saying "what if" and things like that and then you tend to take it to heart personally. Your nerves are easily touched. Go back from post # 1 and actually READ what people are saying before being prepared to "pull your pistol". LOL Who side will you be on when Joyner falsely accuses something that you are affiliated with? Or will you just be silent on the issue just because Joyner threw some money towards the dance pole? Don't take that the wrong way, LOL. When did I say that KKPsi was to blame??? Let me help you answer that... I NEVER did... But you can't make a blanket statement that there is absolutely no hazing in KKPsi... You all are so defensive and so quick to throw stones that you either have not read or do not comprehend... I have no problem with addressing the issue with Tom Joyner.. I said boycotting his show is throwing out the baby with the bath water... He expressed an opinion... You think the opinion is wrong, bring it to his attention... But running to tell massa??? How does that help FAMU or KKPsi?? You all are bragging that it's white KKPSi members that are calling for the boycott and I guess they can do that because they don't attend HBCUs and they won't care if one more Black school closes..
And Debbie, you aren't going to make me feel bad because I did not attend FAMU... I felt this young man's loss and consistently while your family members have attacked me and my family, I have been focused in the death and that there must be accountability for it. I was not a member of FAMU's band but I have been a band member and while I cherish the memories, I would not trade any of them for my life. And how did Tom Joyner turn people off joining the band?? He didn't invent this death, it happened. He didn't lie and say it happened on a band bus when it didn't. It was the Sheriff's office who made the determination that the death was due to hazing. It was the school which ignored Dr. White's pleas to help him stop the hazing... So at the end of the day, Tom Joyner didn't make FAMU's band look bad. The people who beat this boy did. Denying that hazing happens doesn't help anyone. And what you missed Debbie is saying that Carmen has nappy hair (and is damn proud of it!!) is that making that statement is a personal attack whereas saying branding is hazing is stating an opinion about behavior. @ Debbie, you got it right 100% on me trying to make that point to Carmen! That's what I am trying to get her to understand! Everybody, please just this female alone and let GOD handle it. *smh* When did I say ANYTHING about "massa" this and the white bros coming to the rescue?? Seems to me, you are saying that I said something that I didnt. So I guess to you, we're even - where I was never trying to cause division. I was just trying to help you understand the other opinion being stated. No attack, no abuse. But you are so revved up that you are just beating up on everybody! I never once said that you should feel bad for not attending FAMU. Said nothing of the sort. I am more than proud of you for your accomplishments, along with ANY OTHER individual who takes the initiative to capitalize the potential that the Creator gave them. I spoke specifically to a certain family, "The BAND," and that was a note of love known only to those who toiled in a collegiate band, whether they pledged KKY/TBS or not. I gave you no cause to "cuss me," as I've only offered you respect. Again, back to Tom and in response to your last post, his statement was "...a brand, a PSI." Once he stated the PSI, it was no longer an objective statement about behavior. He was being accusatory. Again, while you were blasting me for actually speaking out hazing - you would realize I agree with you regarding that being the tragedy! I think hazing is deplorable! I just feel like hazing should be the focus and the reason for a productive conversation. Not accusations. You fail to understand the impact of world-wide media... And that's where the issue is. A statement was made in the wind. Words that really can't be rescinded. Because the impact has already been made. First and foremost, I want to give my condolences out to the family of Mr. Champion. The loss of this man was tragic and I’m sure he looking down on us now. May GOD allow him to look down on us from the heavens. I also endorse the messages that my brothers made in this post. Carmen asks to put a dollar figure on what KKPSI does for HBCU bands. The answer is unknown (I’ll give you that) the real donation that lies in the purposes of KAPPA KAPPA PSI. Allow me to give you an overview. Now I don’t expect you to read all of this Carmen because I don’t get the feeling that you respect our organization and know very little about us (believe me on this one Carmen you just don’t know and probably die wondering, just might). The contribution that we give is not only to HBCU’s, but ALL college and university marching bands by exercising dedicated, unswerving service. You know all of the behind the scene stuff you don't see to assist the band director and the band to give them the refined, polished look that you know and love today. Anything from dry cleaning band uniforms to inventory checklist for instruments and other equipment, fundraisers for the band, social events for the band, band leadership and diversity training, band tutoring programs, marketing for the band program, (most important) assisting the band director to take as much stress off of him, etc... etc.. You can’t put a PRICETAG on what we do. If it weren't for us you would not recognize the band as you know it today or even worse the Marching Band could cease to exist at some of the smaller colleges and universities. All bands don't receive the funding that FAMU does. In matter of fact, when a HBCU starts to lose funding who do you think they put the financial squeeze on 1st? I'll answer that for you Carmen. The arts dept. and the Marching Band Yet and still the marching bands are the most recognized organizations on any college and university campus (including all Greeks). No organization on any campus is seen more than them. How does that work? Don't act like you don’t rock with the band during halftime ,we know you do;) . And if you don't love the band many of your friends do. Greek or not. Even TJ rock with the band (all of the sky shows we were asked to participate in during the CIAA tournaments man). Hey I have another question. Who was a supporting actor of Drumline? Hmmmm can we say J. Anthony Brown. I’m sure he got a fat check for that. OK OK OK. I’m going to the left of my point. In conclusion, we (including my lovely ladies of TAU BETA SIGMA National Honorary Band Sorority) do all of this with a smile because we believe that music is a universal language and truly the greatest of the arts and we support and LOVE our bands. You can’t put a price tag on our service. In matter of fact, you know how much it would cost to hire a staff to do what KK Psi and TBS do for the band? Possibly Millions! P.S. what Sorority are you a part of in the Devine Nine? I should have never set this thing to email me with your comments. Debbie, I don't know you and Boh from a hole in the wall. I spoke on this thread first and you both chose to call me out by name so spare me the woe is me. I'm not looking for your approval.you keep assuming that I am defending what he said and I never did that. I said he never blamed KKPsi for this hazing and he didn't. He's responsible for what he said, not what you heard. And when I address you, Debbie, then I refer to you by name as I did in both previous posts. You can selectively read and interpret what you want but two of your frat brothers discussed that it was white KKPsi members calling for this boycott. So funny that you think I'm sensitive but you got all bent out of shape when I hadn't even called your name. As you can see you all are having a grand old time ganging up on little old me. Fortunately, I've dealt with bullies before and I am sure I will again and yet I will remain Carmen. And I am so sure that your comment about what I should know as a lawyer was meant with the utmost respect. And at the end of the day, I still think that contacting his sponsors was out of line. This was an in house problem and should have remained so. If he had made any of these statements about my sorority, I would have fired off the first email telling him he was wrong... I would not have called Allstate and jeopardized another Black student's chance to get an education. Wow I am really shocked at the inability to read. I never asked what KKPsi did for HBCU bands... NEVER.. Wow I guess I know how it feels to be him now... No where did I ask that question but I guess twisting my words makes you feel validated in attacking me... Keep going... I asked how much KKPsi donated to HBCUs.. A dollar amount... And not because I don't respect KKPsi (since I have family members who are in the fraternity) but because I want a cost benefit analysis. Before you shut down a program that brought in millions have you asked yourself how others will suffer?? Is getting vengeance for his statements worth the financial loss to these institutions?? Instead of a boycott, why not ask him to start a scholarship for the FAMU chapter?? That would accomplish a public apology and good end to the whole mess but clearly your egos are bigger than the common good of the Black community. maybe i didnt read some of the post but when did someone call you a name @carmen? This is your quote, Carmen..."None of it changes my opinion, actually you have managed to completely put a bad taste in my mouth when it comes to KKPsi"
I'd like to respond. Number one, I (for the record), have NEVER e-mailed you. #2, I don't even KNOW your e-mail address (or YOU, as you have stated earlier). #3, It was your idea to fight a cause that you are poorly informed about. #4, Where is Joyner or a representative to back you up on your viewpoints? #5, You say that you haven't been involved in a HBCU (or any other conference) marching band or pledged KKY or TBS, so why does this topic drive you so much? #6, Why are you taking general comments so personally? #7, Could you please name another Fraternity or Sorority that you have hazing issues with on this topic? # 8, Did you get expelled from KKY/TBS? #9, Did you try out for Kappa Kappa Psi /Tau Beta Sigma, and get rejected? #10, the Brothers and Sisters who have posted can easily verify their statements through the national website. After all of what you've claimed, where is your "proof" of anything that you've posted? #11, Joyner's show is entertainment, not a media source. PLEASE enlighten us ALL by showing us at least ONE (I REPEAT ONE)reliable media source that would bring suspicion upon KAPPA KAPPA PSI in relation to this tragic death? #12, Can you give an answer to ANY of these questions and back them up with PROOF and not just your OPINION? WOW!! I am impressed with the level of pride you all have in your organization. The response alone on this site lets me know that a boycott and calls to sponsors really were not necessary, if you all flooded TJs inbox in the same manner. I think you all have proven your points. I sm pretty sure TJ got the message. If he continues to talk about it (I rarely listen to his show), it's merely because it's a hot topic and perhaps he is in a defensive mode as it would be hard not to be a little taken back and defensive with such s response, especially since I really do not think his intent was to malign an organization. I say we just call a truce with regard to trying to compare efforts by KKPsi and TJ. There is no point in trying to estabilsh a superior effort. They both contribute to the success of students. No one wants to lose the support of either. Since for othe most part, no one on this site knows one another, so much of what has been discussed has been mistnterpreted...it is an example of how email and online communication is not always the most effective. But it is the format for this site, my suggestion would be for folks to go back and read through the comments several times before responding. I am not trying to insult anyone's reading comprehension level but it is clear that some comments were not taken as they were intended. I'm sure the Savvy Sista would loved to hear your comments. As a regular reader, I am excited to hear from so many articulate brothas and sistas. Nobody can say that writing letters and boycotting is wrong if you are not in the shoes of Kappa Kappa Psi. He said their organization in the same line with hazing as well as disrespecting them due to his lack of knowledge. His comments were detrimental to the organization and they had every right to take the actions they did. People need to learn to put themselves in the shoes of others. Being a member of Tau Beta Sigma the sister sorority or Kappa Kappa Psi I would have been pissed and would have taken the same action. I am upset because they are my brothers and their organization should never had been mentioned to begin with. Joyner being a member of a fraternity KNOWS better. Yes it was worth it. You can NOT go on a nationally syndicated radio show and state falsehoods. Especially when he has a promotion of his HBCU Online thing with Florida A&M. What he did was ignorant. As a member of Kappa Kappa Psi, I felt that he blamed us for Robert Champion's death. You would think with him being a member of Omea Psi Phi, he would be more cautious with his words. This is the hardest working Fraternity in the world. We do all we can to assist the directors entertain you at halftime. We go the extra mile to see that the band has everthing it needs in order to function properly. It is one of a few Fraternal organizations that is racially intergrated. We have defended ourselves on numerous occasions about being an anti-hazing Organization. Hazing has been in existence since before any fraternity has ever existed, black or white. Until you get people to understand that it's their decision to not let another man or woman comit battery against them to gain membership or be accepted, it will continue to exist. When the media makes a comment about an incident and involves parties without gathering ALL Of THE FACTS, this is the result. Now the reporting party has to do damage control, but when you are not sincere in clearing someones name that is not involved it shows because you won't admit to saying I made a mistake, you try to cover it by saying, Do what I do. We were in Donation mode Some 24 hours before, the accuser even thought to bring that matter to the forefront. The accuser of such activity is affiliated with an organization that has also been accused of improper conduct and as a matter of fact his N.B.A. (world famous former laker) frat is Under fire for some inapropriate activity. The accuser has managed to hush up on that when he was just on the show during this tragic incedent. Get all of the facts, remain impartial, and use your network to be equally informative. We're all still supposed to be in this togetether. I never asked what KKPsi did for HBCU bands... NEVER. "But because I want a cost benefit analysis." "Instead of a boycott, why not ask him to start a scholarship for the FAMU chapter?? That would accomplish a public apology and good end to the whole mess but clearly your egos are bigger than the common good of the Black community." @Carmen I just happen to pass by this forum. Boh made a comment to you and you jumped of the bridge. Really I have no idea why. But the mistake you made was commenting with I HAVE NOT ATTENDED AN HBCU. Right there you should have shut your mouth. By attending Tuskegee University and myself pledging Alpha Phi Omega and Pershing Rifles. Then joining the Army and going through Basic training. However, I have seen hazing at HBCU's (ASU Alcorn, JSU, and OPsiPhi, PBS, KAY) I can tell you that stuff happens. Tom Joyner is an Omega and he had a slip of the tongue. He should maybe have phrased the statement as members of the band were roughhousing or something. But by mentioning KKY that takes it to a different level. It beings out the ole skool, present, and new skool frat, sorors, and the sweetheart/gentlemen (associates) sponsors, representatives, etc of that organization. if you have to wear the same colors, do the same thing, attend study meetings, etc all that is a form of some kind of hazing. because it is called breaking down to build up. the military does it, the jail does it, but oh it's not a problem then. Get over yourself. Boh does not owe you an apology. I am glad he that TJ apologized to the frat (I say frat because I am a KKPsi). The death of the young man should have never happened the way it did and my thoughts and prayers are with his family. More processes should be put in place to limit/prevent this from ever happening again. The harsh reality is KKPsi/TBS is not the only organization that has members in a HBCU band. In fact, most have another musical fraternity also. There are AKAs, DST, Ques, Kappas, etc, in every HBCU band. To single out KKPsi was an attempt to persuade the listeners (uninformed) that there is an org within the band that has a history of hazing (brands), that could have been responsible. Little did he know that KKPsi celebrated its 92nd birthday one day prior to his comments and it is a NATIONAL FRATERNITY founded by WHITE PEOPLE. Who knows, the sponsors may very well be KKPsi? Who knows, the phone calls to the sponsors may very well be WHITE KKPsi. Who knows? Hopefully he realizes that KKPsi is about the betterment of college and university bands. Several members for several years have devoted countless hours of their lives to college bands, as I sure Chapman did also, even though not a member. His comments struck a NERVE in not only KKPsi, but several current and former college and university band members. First and foremost we all must remember to keep the Champion family in our prayers as well as the FAMU band fam. I'm not going to join this debate between individuals, though I just want to say I usually never listened to the TJMS anyways so this boycott is something I'm not really part of. I am a member of Tau Beta Sigma and I really do believe that my brother frat was wronged in the comments said. As stated, they were slanderous in nature which is a civil wrong. He shouldn't have said what he said. Period. And, yes, a boycott or letters may be a bit extreme but he must face the consequences of his statements. He may not have directly said "KKY is a hazing organization" but the negative connotation was insinuated. ITB is a powerful thing and when we feel that we are wronged everyone must feel the raft until something is done lol. I would just like to say that I am an MC of KKY. Not a "pledge." A Membership Candidate who has a choice in continuing with the process or leaving. My choice is to stay, because they include a group of people that I know and love, and who would NEVER force me to do anything that I wouldn't normally do. The definition of hazing according to KKY is "forcing any member or MC to do anything that would make him/her feel uncomfortable and which they would not normally do." My chapter is truly a NON-HAZING group. This is not to say that it does not happen, but every MC is also given a number to call if they truly believe the chapter is hazing them. Carmen, you have gone way too far into this and you are simply now making a pointless argument. If you want people to listen to your opinions, you have to listen to their's as well - with an OPEN mind. Slandering other people that you have never met does not make your opinion correct. Stop fighting and just speak your mind. A person is dead. Pray for him. Be sad about it. But do not start hurting other people with your words that had absolutely nothing to do with the incident. If people interpreted you wrong, simply say "I think you misunderstood me. I was trying to say..." Not "WOW I'm really shocked at the inability to read." I believe that you gave KKY a bad taste in your own mouth the minute you entered this thread, not anyone on here. You simply have your opinion and a closed mind, and nothing anyone said could have changed it.